Size: 3 1/2 x 4 1/4 x 4 Inches tall. 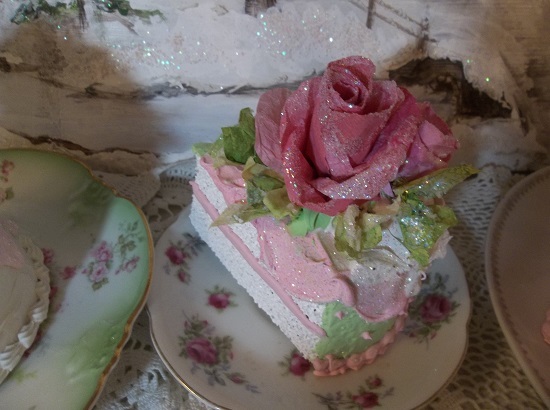 Oh I love this sweet slice of cake! You will receive one slice of fake cake. It is the exact piece pictured. 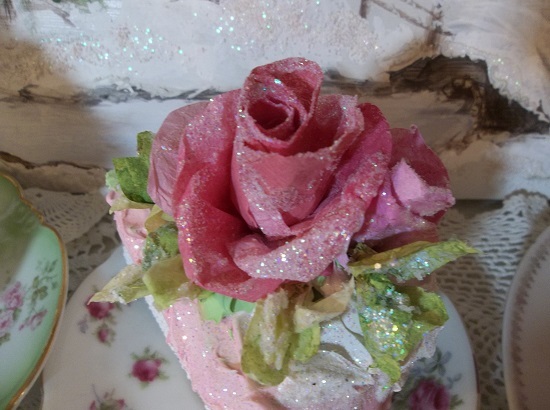 This piece is handpainted - fake frosted and decorated with my own handmade paper roses. They are wonderful. 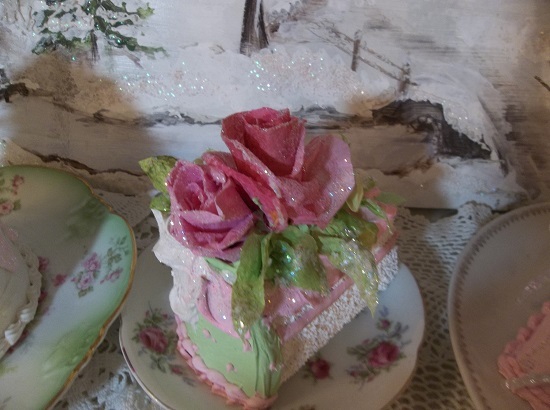 Great details - colors - Each slice comes with a paper doily for display. I am so excited about these! Sit back, relax-- feast your eyes on and enjoy this totally fat free slice of cake. They are truly a sweet treat. Each time you look at them they make you smile.